The Oasis experiment began in the mid-80s, with a call from Bryce Taylor to create a new enterprise designed and run collaboratively as peers. 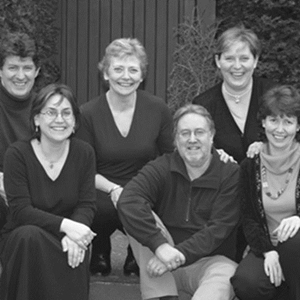 Together with co-founder Nick Ellerby, they provided personal development, communications skills, training and consultancy support and counselling services to staff in organisations, through Total Staff Care (later renamed Peoplecare). Later the offering expanded to include team development, training trainers, organisational development and one-to-one executive development. Sectors included education, health and social care, business and third sector organisations. From the start those involved endeavoured to create a human relations organisation that reflects the values of openness and shared accountability out of which we work, and which gives expression to the kind of relationships to which we aspire in our work together. Seeking the radical, exploring the threshold and working beyond convention have always been the impulse for those who work with and within Oasis School of Human Relations. 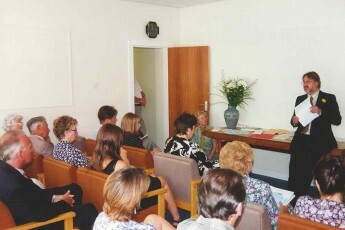 Based at Beechwood Conference Centre, Leeds, from 1989, in the early 1990s Oasis moved to Hall Mews, Boston Spa. In the early 2000s Oasis was registered as a not-for-profit organisation. In 2014 Oasis marked 25 years of developing people and organisations with events including an engagement weekend for associates, developers, staff and directors. The Oasis Foundation, which works to develop and promote social change and social justice through applied Whole Person Learning approaches, celebrated its 15th anniversary the same year. From the beginning Oasis has been known for its innovative programmes and practitioner development. Early on Oasis was commissioned by the Yorkshire Regional Health Authority to provide HIV training, ultimately developing over 750 practitioners. We went on to develop facilitators, designing programmes for organisations, business schools and universities. Programmes have included the two-year advanced diploma in The Practice of Counselling and the Management of Change, which applied individual development and counselling approaches to a wider range of occupational settings and roles, integrating theory, practice, skills and experience. In partnership with Mario van Boeschoten, Oasis ran a two-year People and Organisational Change Strategies programme that consolidated our organisational development approach. In recent years open programmes have included Whole Person Facilitating; Coaching and Mentoring with Head, Heart and Soul; Speak to be Heard; Facilitation Styles and Leadership, Life and Learning. We also run a range of in-house programmes for client organisations, including One-to-One Developers, Values in Practice and Tools for Change. We are continually developing programmes in partnership with clients to meet their needs and those of the changing context. Oasis has a long history of research using Co-operative and Collaborative Inquiry methods, including a 20-year association with John Heron. Inquiry topics have included integrated practice and holistic learning; transformative living; peer learning; transpersonal learning, global responsibility, leadership, collaboration and creativity. The Workplace of Tomorrow Inquiry had its first research cycle in 2009, supported by a wide range of contributors in the UK and internationally. Further development of the research began in 2013, culminating in the publication of 7 Principles to Shape the Workplace of Tomorrow. 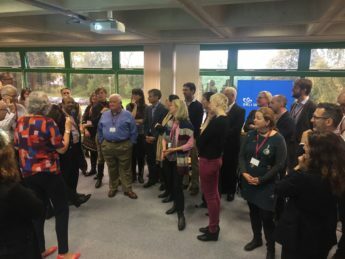 A UK Leadership Collaborative Inquiry held by Oasis led to a series of Developing Collaborative Leadership Retreats for CEOs, Directors and Oasis Change Agents from across the UK. 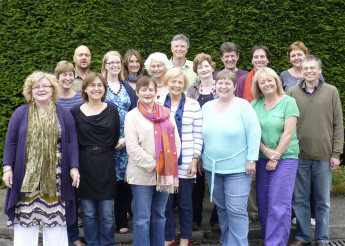 Co-directors, staff and associates took part in four cycles across five years of a Co-operative Inquiry into Whole Person Learning from 2011. Research focused on how the approach lives in practice. 2004 saw the formation of Globally Responsible Leadership Initiative (GRLI) with Oasis as a founding partner. This international network is committed to developing the next generation of globally responsible leaders. Oasis facilitated the initiative, working in India, China, USA, Canada, France, Brazil and UK. Later Nick Ellerby was appointed Special Adviser and Claire Maxwell was appointed the first Chair of the Council of Partners Guardian Group. Oasis has since co-facilitated the GRLI Innovation Cohort, bringing together management educators, leadership developers and organisational leaders to experiment with emergent approaches to education to foster globally responsible practice and leadership. Other international work includes an MBA partnership with leading international faculty developing engineers, Northern Institute of Technology, Germany, to design and deliver ‘From Corporate Responsibility to Globally Responsible Leadership’ from a Whole Person Learning perspective; workshops in Brazil using the Whole Person Learning approach and seminars with business schools in China. In 2016 representatives of Oasis and North Star Housing Group met housing associations in Australia to facilitate workshops on the success of shared leadership approaches and present our research into the workplace of tomorrow. Oasis Press has published numerous books and manuals over the years, including Working with Others – one of the most successful counselling publications in the UK – and Learning for Tomorrow. Recent publications include Steps to an Ecology of Soul and the Oasis Elements series – accessible, practical guides – including The Seven Stage Model and Peering into the Future. Claire Maxwell contributed a chapter on Whole Person Learning to The Collaboratory, a handbook for making change happen.